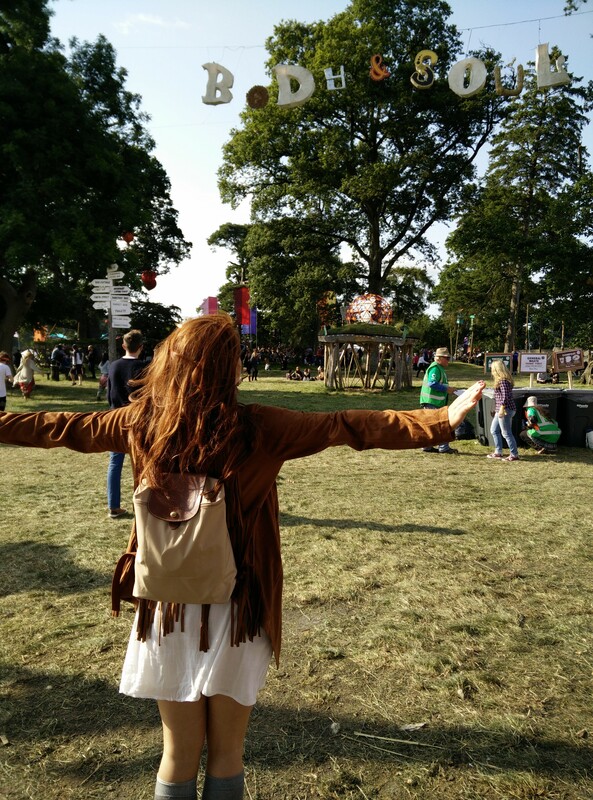 I didn’t think I could do it but I did, I survived a weekend of camping at a festival and loved every moment of it! Don’t get me wrong I am wreaked today but nothing a good night’s sleep wont cure. 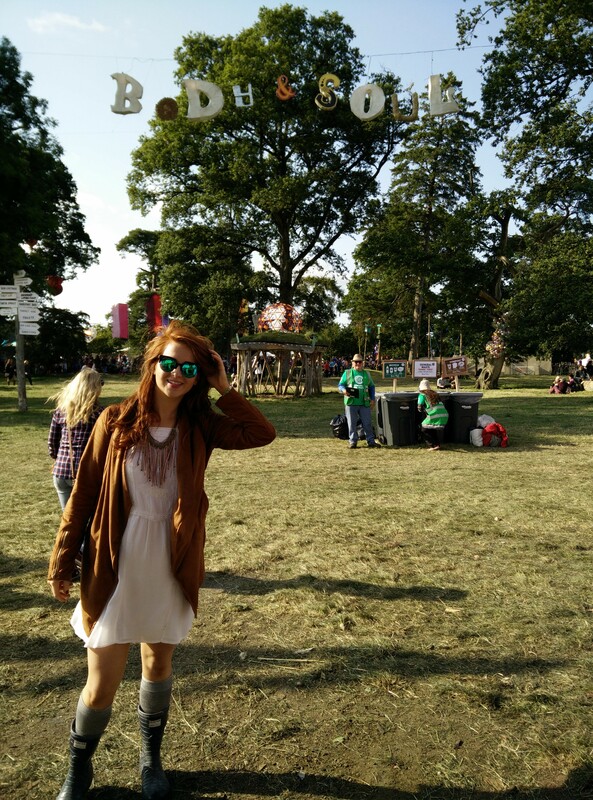 I went to Electric Picnic Festival in Stradbally Co.Laois. I actually cannot describe how much I loved it! 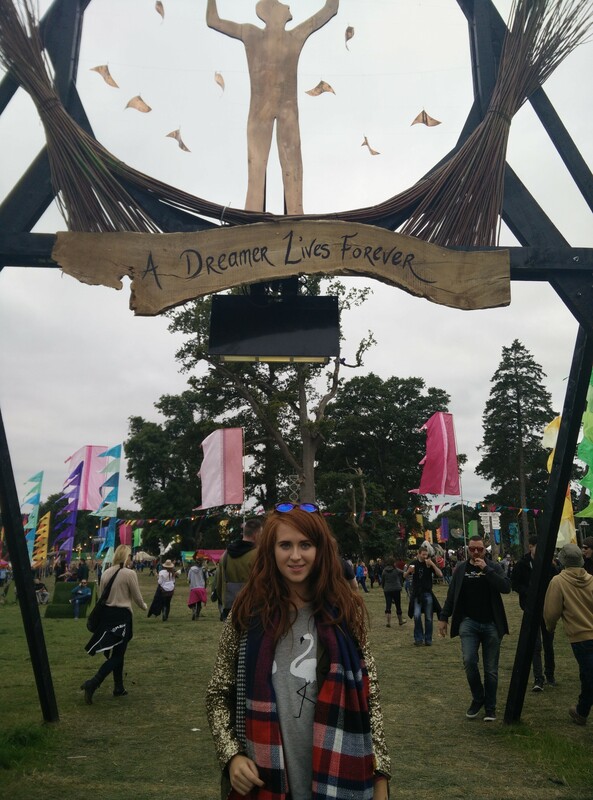 I hadn’t been to a camping festival since I was 17 and I was so nervous. As a 23 year year old I often refer to myself as an old lady. 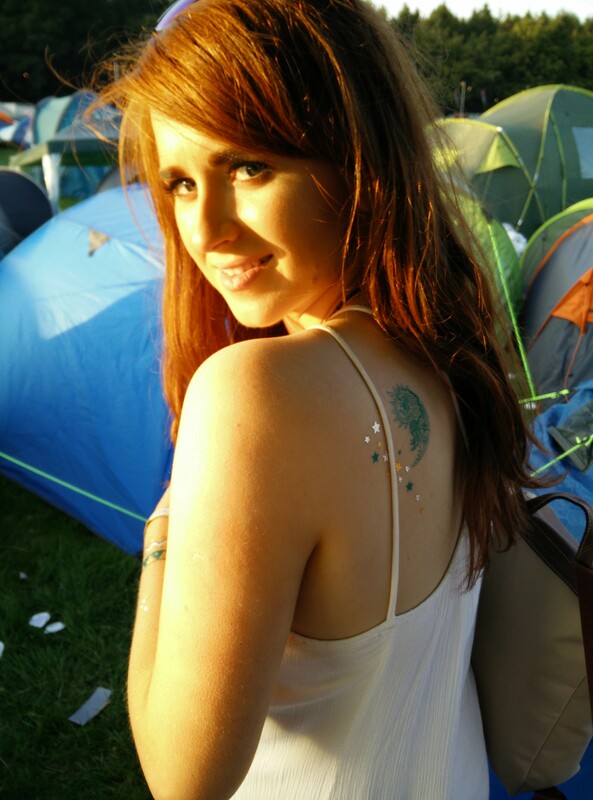 I like my warm pj’s, clean sheets and endless cups of tea, not something a festival really has to offer. 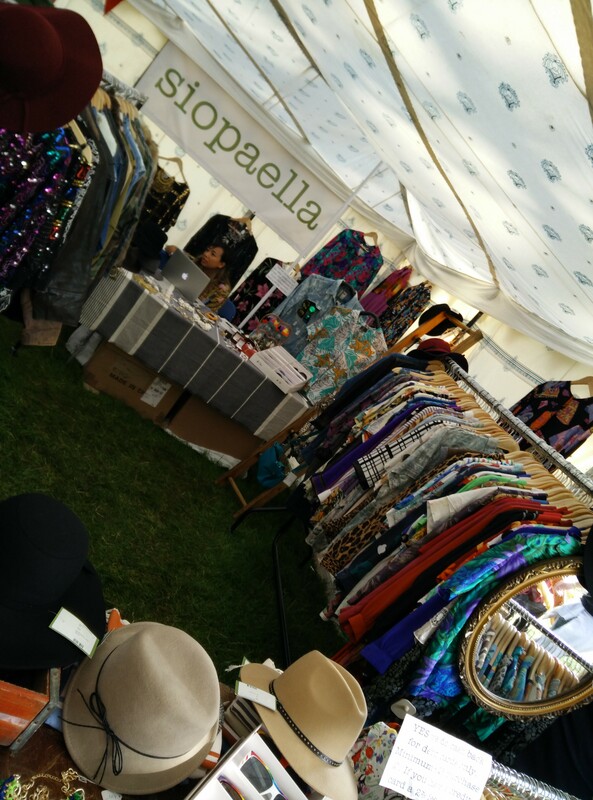 This festival was completely different to anything I had been to before, there was something for everyone. 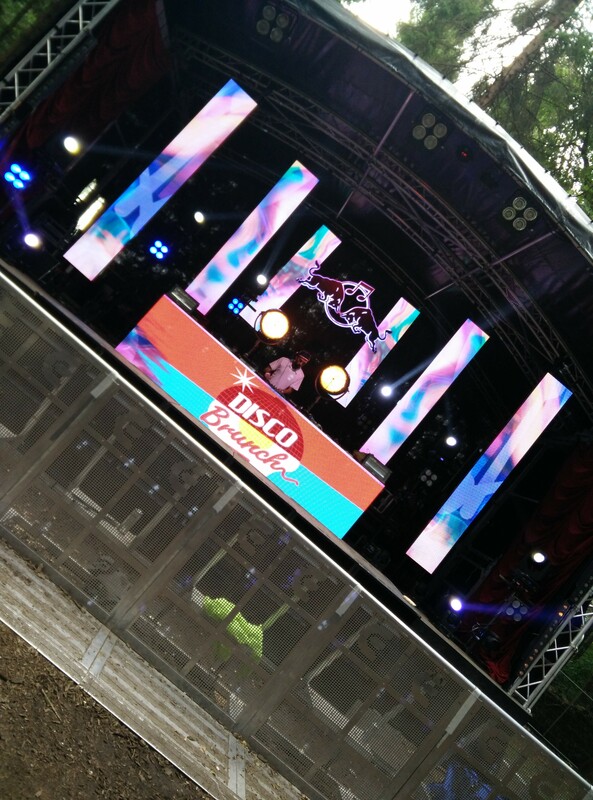 From arts & crafts, foodie tents, raves in the woods and the epic Electric Ireland 90’s Power Party Tent that had me dancing all night, Electric Picnic is one not to be missed. I am already thinking about next year’s festival already. I actually didn’t drink for the whole weekend and didn’t feel that I needed to either. 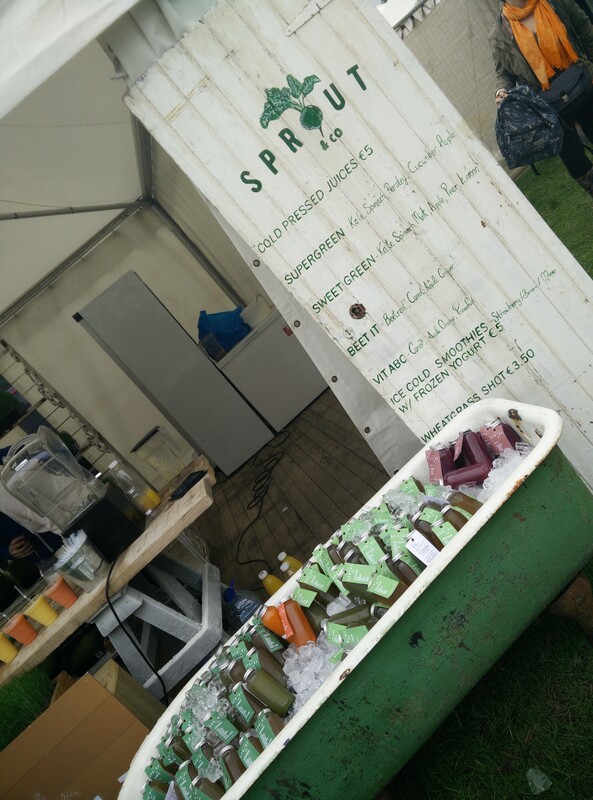 Often the association with festivals is that it is all about the alcohol and getting a little bit too tipsy but Electric Picnic had such a good vibe that I didn’t feel the need to have a drink. They did have an amazing selection if you wanted to though. When surviving a festival there are a few essentials that are a necessity. 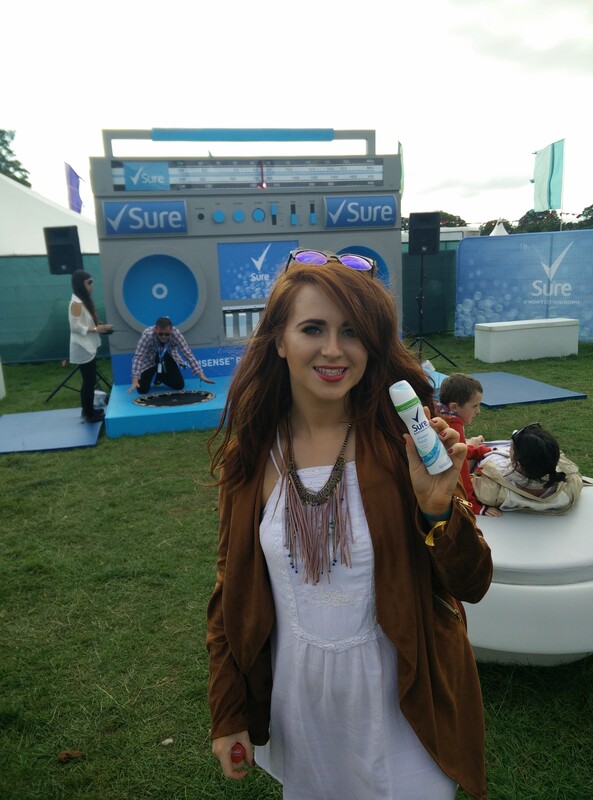 Here are my top beauty picks for surviving a festival in style. Tan: Make sure you get a spray tan or else apply two layers yourself for the weekend, tanning your face. I used (as always) Cocoa Brown by Marissa Carter 1 HOUR TAN MOUSSE DARK. I applied Cocoa Brown Gentle Bronze Gradual Tan to my face as it is oil-free & non-comedogenic so won’t clog your pores. I wanted to wear less makeup for the festival so Gentle Bronze was ideal. Wipes & Lots of them: You make think you will shower while there but you won’t trust me. I brought baby wipes but also WaterWipes. They are so much more gentle on your skin than baby wipes and don’t dry out your skin. Last thing you want is a breakout on your face. Deodorant: An obvious one yes but choosing the right brand that will have you smelling fresh all day long is important. My favourite deodorant brand has to be Sure. 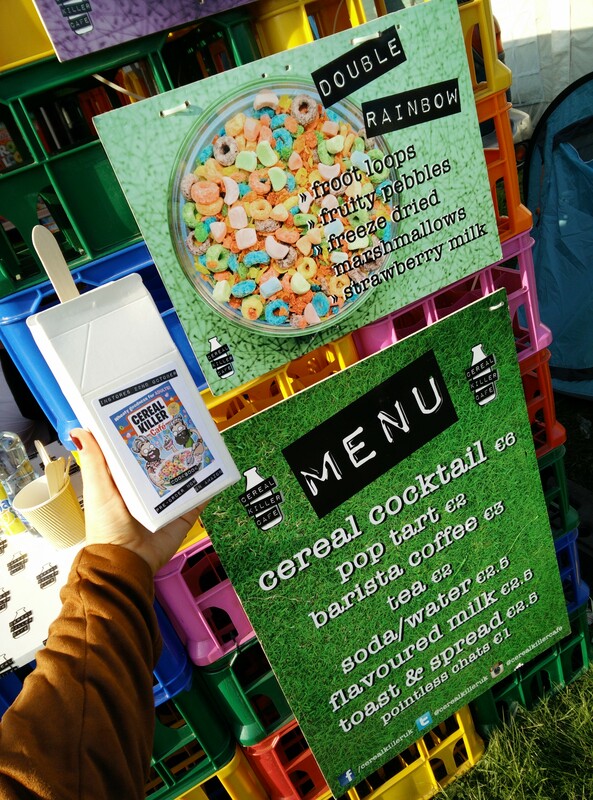 They were actually there at the festival giving out samples which was a big hit at the festival. Dry Shampoo: I am going to rate this as possible the most important one to me. When you hair looks good, you feel good! I was delighted that I got to try the new So..? Lovely Dry Shampoo. 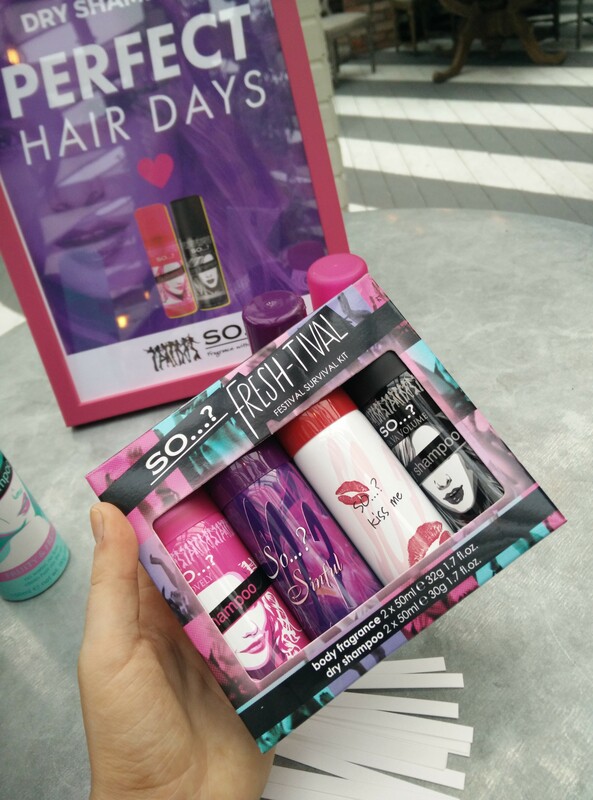 I was recently at the launch of So..? Couture in Ireland and was gifted with these mini dry shampoo’s which came in SO handy (excuse the pun). My hair smelt fresh and it also fixed my hat hair from the night before. Now onto what I wore. Top Tip before I start, always bring layers. I may be wearing a dress in this photo but I had about two long sleeve tops on over when it got late as it was extremely cold. You want to look fashionable but think practical too. Basic tee’s and leggings are key for festivals, then you can just dress them up. 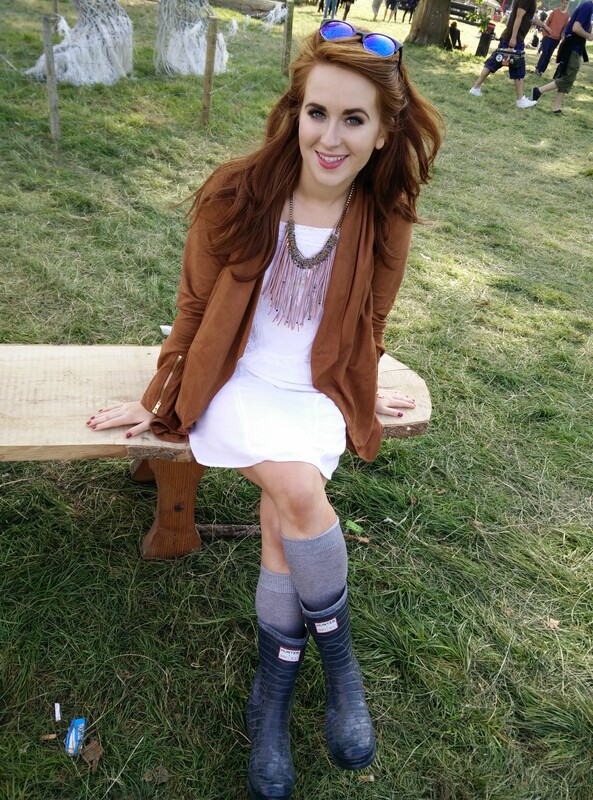 I got this fringe faux suede jacket from boohoo.com and lived in it for the weekend. I by accident bought it a size too large but it worked out in the end for me as it meant I could put layers on underneath. 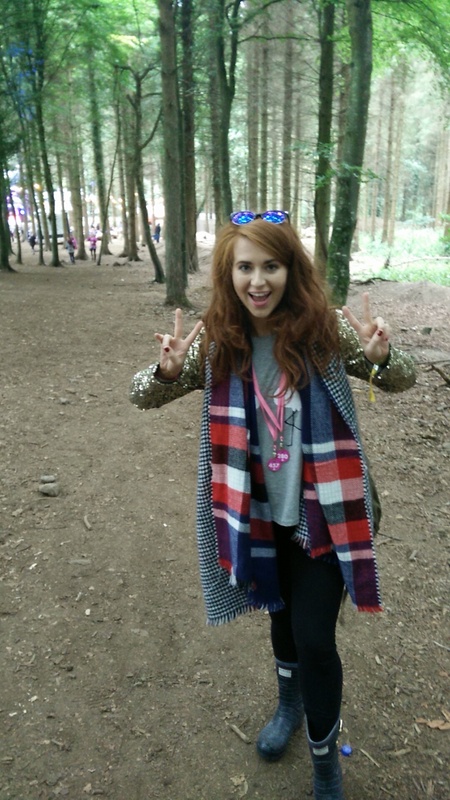 This jacket screams festival fashion to me and I loved it. 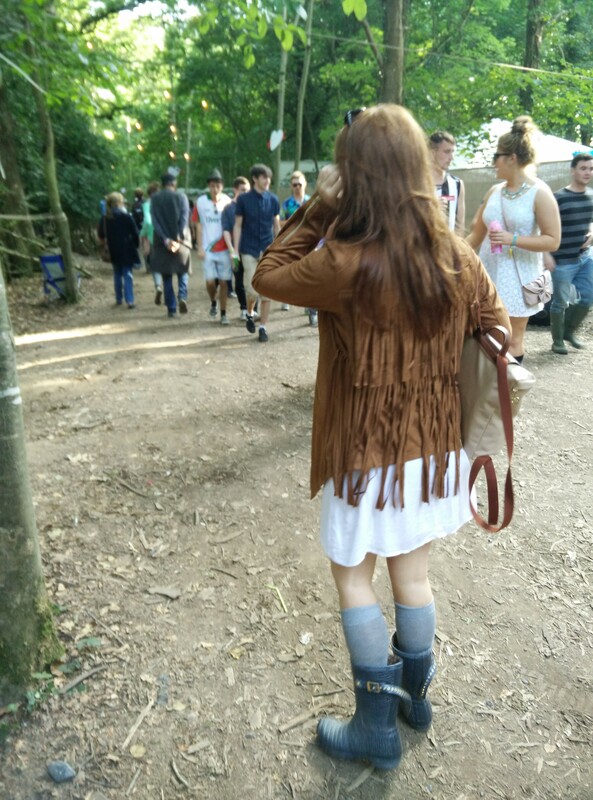 You can buy similar fringe jackets from boohoo.com here. 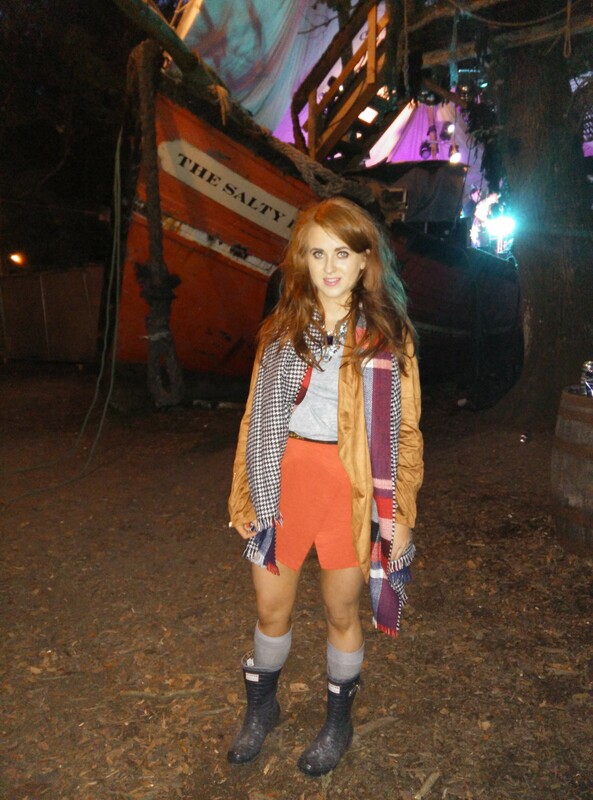 Wellies are essential for festivals. It didn’t rain on us but I was so glad to have them for warmth. Super stylish and super cosy! I got this pair from Hunter Boots a few years ago and they have served me well. 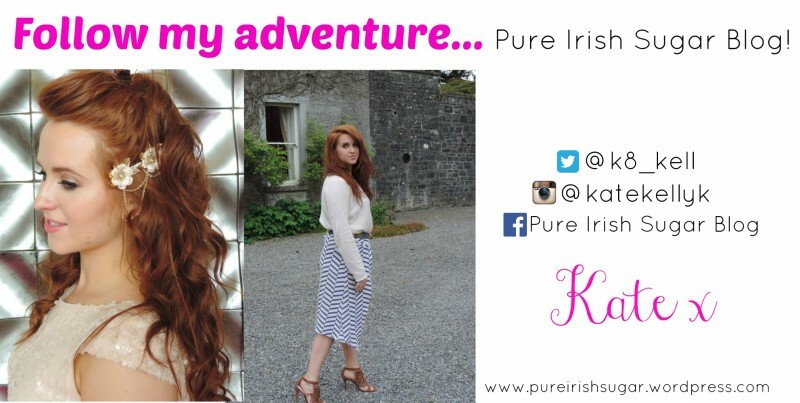 My sunglasses are from an Irish site called Betty & Biddy. I have lived in these shades all summer and I will be so sad when it is no longer acceptable in Ireland to wear sunnies in the winter. My necklace is from Penneys/Primark and I just picked it up last minute to dress up my outfit. In the photos above I am wearing a Primark scarf that I lived in all weekend. I love the two tone patterns in the scarf. I think it was €10 so a great buy and still in stores. 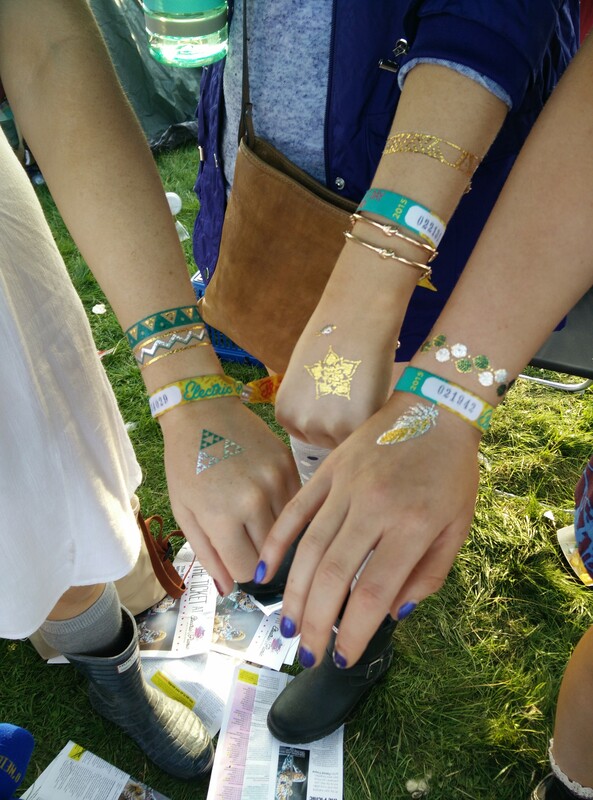 I got these Metallic Temporary Tattoos from boohoo.com and we had great fun wearing them. I meant where else will you get away with a shimmery tattoo on the side of your face. I bought them online here. 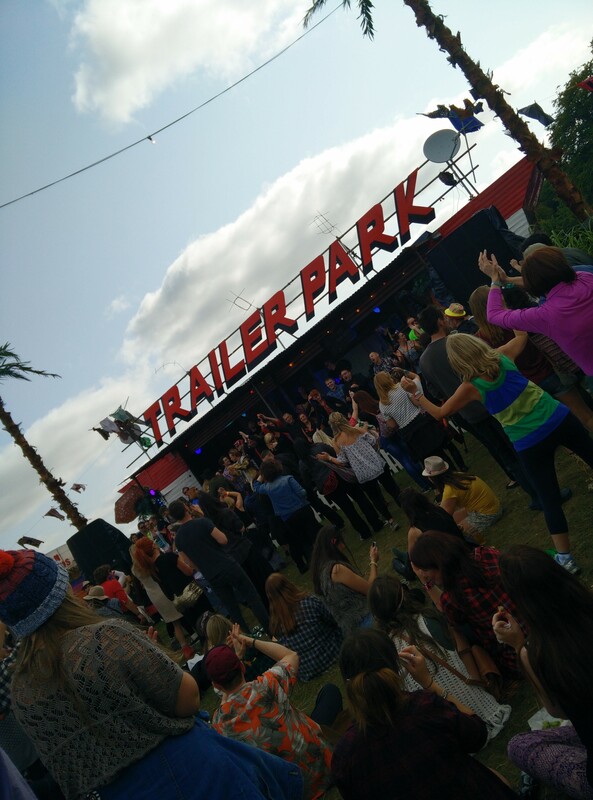 My highlights of the festival had to be the food, Electric Ireland 90’s Power Party Tent (lived in there), Trailer Park atmosphere, The Salty Dog Ship, Body & Soul area and stumbling upon hidden treasures. The overall experience was worth the money I paid for my ticket and I cannot wait to go next year. 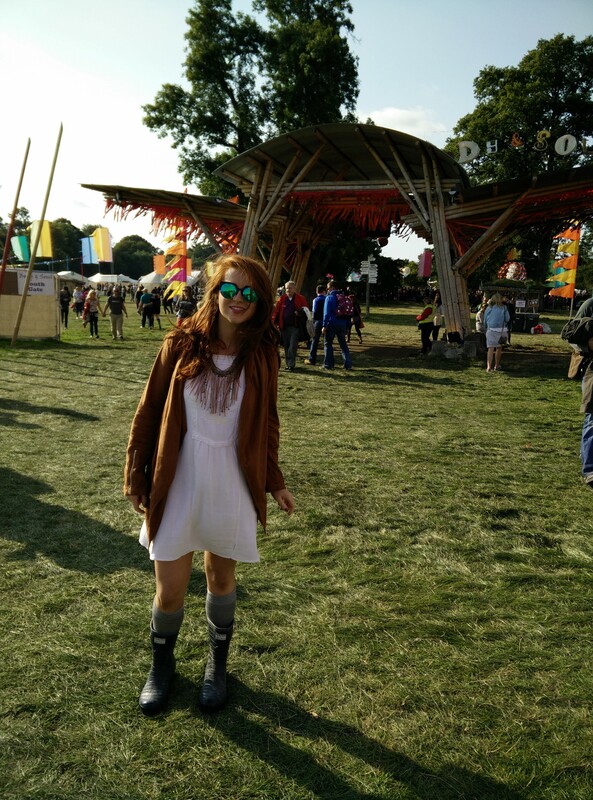 Posted in Fashion, TravelTagged Electric Picnic, electric picnic 2015, Festival, festival essentials, festival style, Surviving a festivalBookmark the permalink.